Is this a good price for seats and qtr trim pamel? › Is this a good price for seats and qtr trim pamel? I am getting 2 deluxe seats but need recovering and the right and left rear side qtr panel for $400 this weekend at the Charlotte Auto Fair. This is for my 72 Mach 1. I think it is a good price but want to make sure. 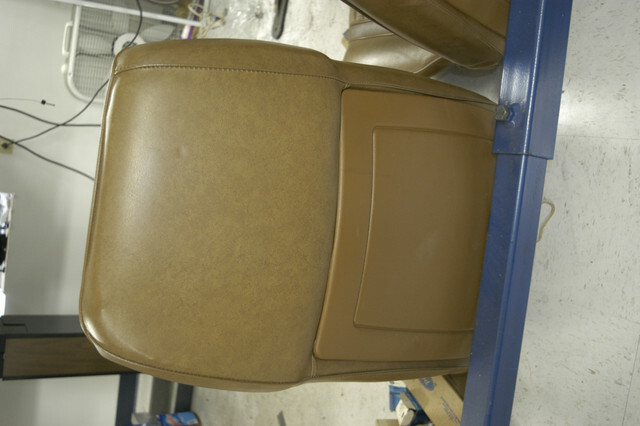 Its $100 per seat and a $100 per side qtr panel trim. Really depends on condition - are the seat frames in good shape? I bought a parts car from a rather heavy gentleman and the drivers seat was unsalvageable. They should sit square, the seat backs should sit at the same angle on both seats. Hinges should be good. Check the seat back for damage/scratches. The screwholes shouldn't be too big, and you should have both chrome seatback release handles. There should also be some plastic hinge covers. Are the seat rails included? If the frames are good, you can replace the padding when you recover them. As far as the interior quarters go, they shouldn't be cut and not scratched up too bad. Discoloration from sun can be redyed, but if your fingernails leave a scratch on the surface, you might want to wait for another part. If you have the convenience group you need the seats with seat back releases. You cannot add without a lot of pain. Will have handle in the center and the solenoid in the back. 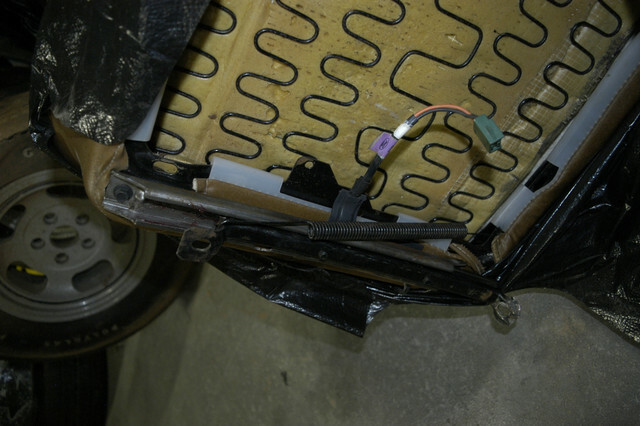 There are spacers under the seat on top of the adjuster that allow the wire to pass through for the solenoid so they are very different. The seat adjuster are also different for vert and Mach 1 so look at them also. Here is a picture of one of mine. If the adjusters are all rusty it is not an easy task to take apart to sand blast. They put the ball bearings in the tracks then they put in a press and formed dimples to prevent the seat from coming off the track. The passenger seat has the pressure sensor in it the drivers does not. For the side panels make sure they have not turned to chalk. No speaker holes. The convenience group had ash tray in back R.H. side. After a certain time in the day you can borrow a gate pass from vendor and drive in and pick up your stuff. I myself prefer to park in the back of the track it is closer than across the street. I will not be there working on the Mach 1. Also lots of Mustang vendors at the MOM the following week. (04-04-2019, 10:12 AM)Carolina_Mountain_Mustangs Wrote: If you have the convenience group you need the seats with seat back releases. You cannot add without a lot of pain. Will have handle in the center and the solenoid in the back. 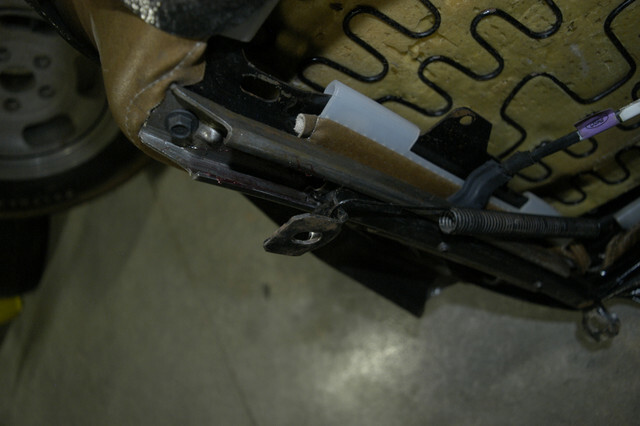 There are spacers under the seat on top of the adjuster that allow the wire to pass through for the solenoid so they are very different.